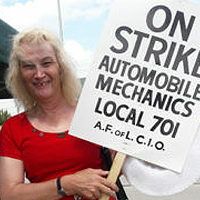 The employers have thrown up the white flag as Chicago's unionized auto mechanics score a major victory. 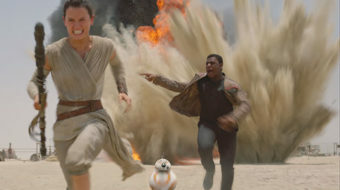 I saw the new Star Wars movie: Meh. 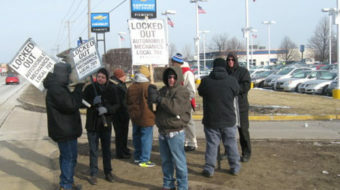 The automobile mechanics strike here at Al Piemonte Chevrolet, now over 30 weeks long, has deteriorated into a lock-out situation. 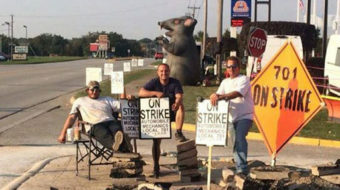 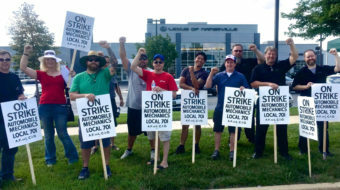 Auto mechanics of AMU Local 701 have been on strike at Al Piemonte Chevrolet for a fair contract for over three months. 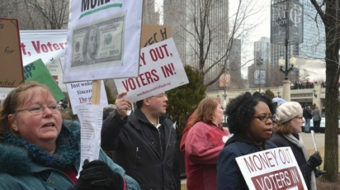 Hundreds of Chicagoans marched and rallied Jan. 19 to protest the "Golden Megaphone of Money" that decision has provided to corporate America.